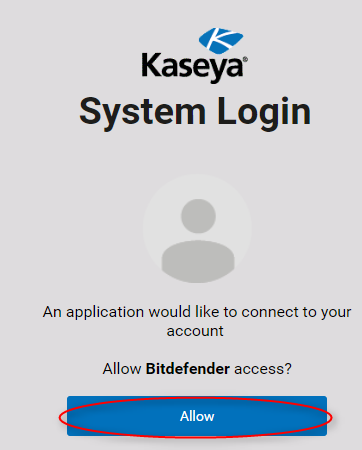 This article assumes you have an account for both Kaseya and Bitdefender-GravityZone. And you are familiar with the Bitdefender GravityZone interface and the VSA dashboard. For more information, reach out to Techs+Together. PLEASE NOTE: If you have already configured Bitdefender Gravity Zone with your VSA account using a procedure method, please refer to the ADDENDUM for more information. Log in to a computer with access to Kaseya resources. Log in to Kaseya VSA. Navigate to System > Server Management > License Manager - If you do not see this option, log in as a user with SYSTEM-level access. Select the Third-Party tab. If this tab is not present, you can enable it under System > Server Management > Configure and check the box labeled Enable Third Party App Installation Globally. Locate the Bitdefender Connector you downloaded in step 2. It will have the file extension vsaz. Follow the on-screen instructions to install the package. You can see a new entry for Bitdefender in the Navigation Panel. When needed, you can install the same version of the Bitdefender Connector without uninstalling the existing one. This solution is recommended in case of issues with Kaseya Agent Procedures (they have been deleted or they do not appear anymore for some reason). Kaseya VSA needs to access Gravity Zone services. 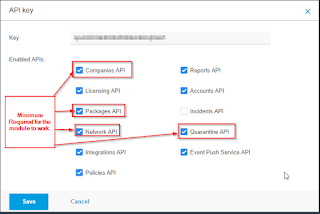 To authorize access, you need to generate an API key and configure the integration. Log in to Gravity Zone web console. Click your username in the upper-right hand corner and select My Account. An API key is generated. To prevent the leaking of sensitive information, do not share or distribute your own API keys. Cop the Access URL from the Control Center API section. Log in to Kaseya VSA and follow the next steps to configure the integration & synchronize inventory. 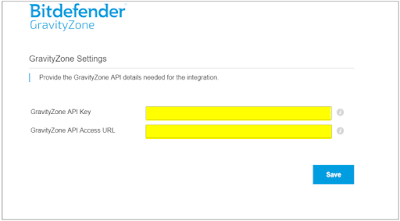 Enter the API & API Access URL from the previous section. The synchronization mirrors your managed inventory in VSA (Assets) to the Gravity Zone Control Center. Log in to Kaseya VSA via web browser. Click Bitdefender in the Navigation Panel. Enter the generated API key and API Access URL in the General Settings section. Enable Automatic Sync and Automatic Deploy if needed. For more information, see the section Manual Synchronization. The synchronization task runs hourly. This will automatically synchronize your existing Inventory according to its hierarchical structure, and it will deploy the security agent on your endpoints. Set a prefix for creating new organizations or associating existing organizations during the synchronization. For more information, see the section on Setting a Prefix. Setting a prefix will ensure that your organization names in Gravity Zone are unique. It is required that you use a prefix to avoid conflicts with other tenants. Configure your event settings for Automatic or Manual. For more information, see the Event Handling Settings section. It’s highly recommended to set these items to automatic synchronization for the most trouble-free implementation. If there are any issues, please contact service@techstogether.com. Click Save to start synchronization. This may take a few moments. After you integrate Kaseya VSA with Gravity Zone, a default agent installation package is created in Control Center. Bitdefender’s security agent for Windows is titled Bitdefender Endpoint Security Agent (BEST). It is recommended not to delete the package. 1. Log in to Gravity Zone Control Center. 2. Go to the Network > Packages page. You can see the default package named KASEYA_Connector_Default. If you would like to give your end-users the ability to pause or cancel scans, you will need to install the Power User module as well. The cancel a scan, you must enter Power User Mode from the System Tray icon. Click Add in the upper side of the table to configure a new installation package. Other information beyond the basic instructions. 1. Enter a name in the Prefix field. The prefix can have up to 20 characters and it can represent any relevant name you choose. (Recommend setting it to something identifiable to you, IE, Company initials or short name. • Use prefix for creation – create in the Gravity Zone inventory an organization having the configured prefix by using the name of an organization from Kaseya VSA preceded by the prefix. Example: the organization “Company” from Kaseya VSA with the prefix “[Acme]” becomes “[Acme] Company” in the Gravity Zone inventory. • Use prefix for association – search for organizations in the Gravity Zone inventory by using the configured prefix to associate them with organizations from Kaseya VSA. Example: if there is an organization “Company” in Kaseya VSA and an organization “[Acme]Old Company” in Gravity Zone, at the same hierarchical level, an event of Missing prefix-based association found is generated. In this case, you can associate both organizations, rename the organization from Gravity Zone, or to ignore the event. For details about events, refer to Event Handling Settings. You cannot use the prefix for machine groups. During the synchronization task, the differences between inventories generate certain events. 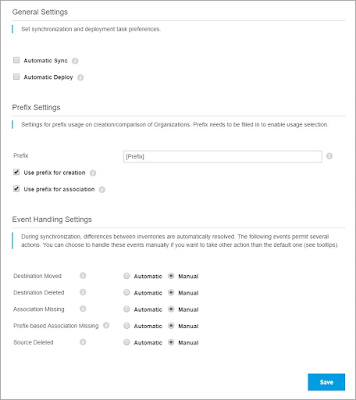 Choose to handle these events either automatically or manually under the Event Handling Settings section. Move an item in destination inventory (Gravity Zone) to match the source inventory location (Kaseya). Copy an item from the source inventory (Gravity Zone) to the destination inventory (Kaseya). Create a link between items that have the same name and location in both inventories. Create the link between items with the same name and location in both inventories, considering the destination contains the prefix set in Prefix Settings. Delete an item in destination inventory (Gravity Zone) if its corresponding item from the source inventory (Kaseya) no longer exists. It’s recommended to set these items to automatic synchronization for the most trouble-free implementation. If there are any issues, please contact service@techstogether.com. 1. 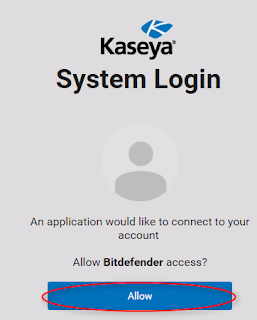 In Kaseya VSA Navigation Panel, click Bitdefender. 2. From the Operations menu, select Inventory. Synchronizes your Kaseya VSA inventory structure with Gravity Zone Control Center. Choose this option to view and manage your inventory structure in Gravity Zone Control Center. Excludes from synchronization the entity you have selected. An excluded entity will display this icon and it will not generate synchronization events. An excluded entity will disappear from the GravityZone inventory. To include back the entity for synchronization, right-click it and select Include for Sync. Deploys the security agent across your inventory structure. 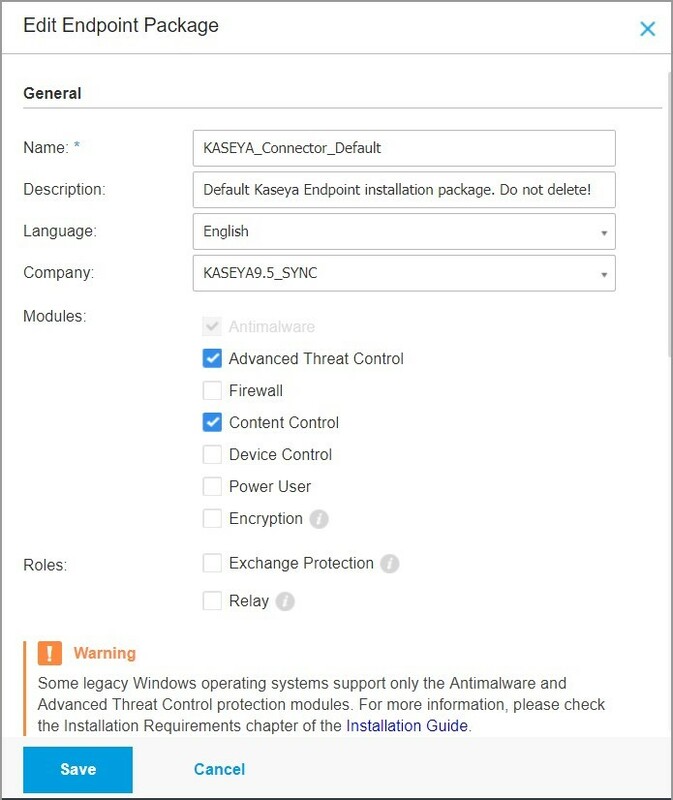 Choose this option to deploy the security agent from Kaseya VSA. Excludes from deployment the entity you have selected. An excluded entity will display this icon and it will not generate synchronization events. To include back the entity for installation, right-click it and select Include for Install. For an excluded entity, synchronization and deployment can run only manually, by selecting Synchronize and Install from the contextual menu for that entity. If you select these options from a parent node, they will not affect the excluded entity. If an entity is deleted from Kaseya, the exclusions will be ignored and there will be generated Source Deleted events instead. · If there are unhandled events from the last synchronization, a pop-up window will inform you about them each time you access the Inventory page. For more information or problems with your integration and deployment, please contact service@techstogether.com. You can remove or disable any previously created procedures (or policies containing them) from devices in the VSA. Disregard any files you have for Bitdefender under Procedures > Manage Files. They will no longer be used. Install the new Bitdefender module according to Techs+Together instructions. In the section regarding Prefixes, we recommend the entry in the new module matches the prefix previously used in integration. Be sure to select the Use prefix for association to have previous agents remain in their appropriate location. Select the Use prefix for creation to allow the plugin to continue to create new companies in GravityZone. Bitdefender will deploy new Procedures in your VSA. Three will help detect if devices already have Bitdefender installed, the other will deploy the agent. There isn’t any reason to edit them. If you do edit the deployment procedure, do not remove any of the default code. Let the new module synch. Be aware of any error (red icons on the organization icons in Bitdefender module) and correct them. 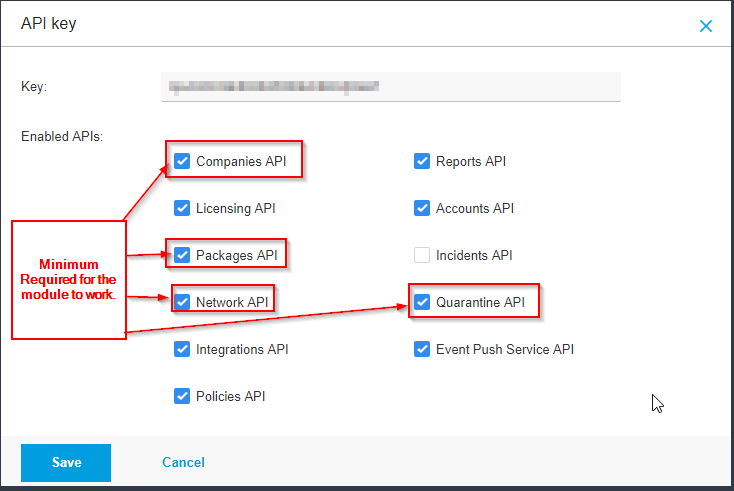 Create your agent deployment in the Bitdefender module. Already existing endpoints will not be affected. If they report to the correct company they will be left alone. If you run install on them the plug-in will detect that the BD client already runs on them and leave them as they are. A future release will bring more functionality on the endpoint management where it will pull more endpoint data from GZ and show it in the plug-in. *This document modified from a longer document from Bitdefender.